Few can argue Fairhope’s charm and appeal. Vibrant and quaint in a state where many similarly sized downtowns are desolate after decades of globalization and growing economic disparity, the heart of Fairhope remains a grid where it can be hard to find a convenient parking space at times. Monday through Saturday, residents and visitors are often thick on sidewalks accented with flower beds, rubbing elbows as they jostle between boutiques, art galleries, restaurants and other locally owned retailers. The public parks and miles of rights-of-way between the municipal pier and Mullet Point can attract hundreds or thousands of people daily, some seeking relaxation or recreation, others vigorously exercising. Even outside the city’s core, solace and serenity are often not more than a short drive away, with parks and public easements from Volanta Avenue and Fly Creek to the north, Fish River to the east and Barnwell to the south. The words “utopia,” “haven” and “enclave” are often employed to describe the city, but behind the abutting facades of bustling commerce surrounded by the tidy estates of New Urbanism, several people with a vested interest in Fairhope’s fundamental history and heritage warn of a legacy far less wholesome — one of abandoned principles, greed and exclusivity, one devoid of leadership or vision. One can only speculate what the 28 original settlers from Des Moines, Iowa, would think of Fairhope today — a colony they founded in 1894 to practice the “single-tax” theory of writer, philosopher and economist Henry George. 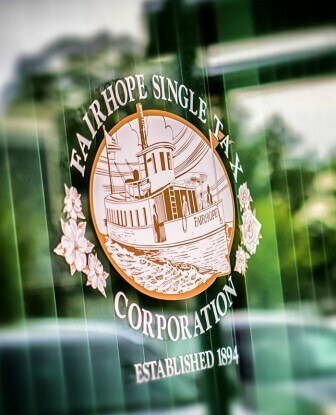 The fruit of their effort, the Fairhope Single Tax Corporation (FSTC), has a unique place in the nation’s history. Known to some simply as “the colony,” it remains the largest single-tax organization in the United States. Instituting George’s premise that land use is a right even when ownership isn’t, the settlers were inspired by George’s 1879 book, “Progress and Poverty,” which proposed shifting taxes from labor and capital to land and natural resources. Although the FSTC is older than the city of Fairhope itself, the settlers’ experiment was beset by the incorporation of the municipality in 1908. But today, the colony still owns approximately 4,400 acres in and around the city, including its downtown business district and adjacent historic neighborhoods, as well as land east of the city limits extending past State Highway 181. 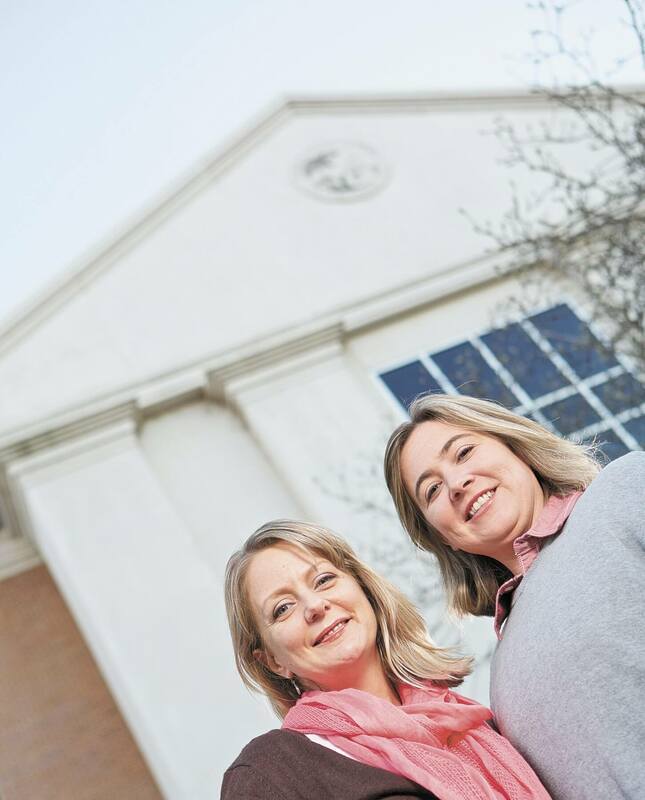 Roughly 20 percent of Fairhope’s 15,500 residents live on FSTC property, where today the single tax has essentially evolved into an extra tax. The corporation’s ideal structure was complicated by taxes levied at the local, state and federal levels, and although lessees still pay a single annual tax to the corporation, that payment now includes taxes owed to state and local governments, or ad valorem taxes. The FSTC forwards those payments to the appropriate state or local agency on behalf of its leaseholders. Also included in leaseholders’ rent is an administration fee covering the costs associated with running the FSTC office in downtown Fairhope, as well as a demonstration fee, which is supposed to be used for community improvements and to demonstrate the usefulness of the single-tax theory. Fairhope artist and historian Dean Mosher illustrated the Georgist philosophy with a story about four landowners on the same street. Three landowners build nice houses of different sizes on their lots, but the fourth owner does nothing. As the three landowners build homes and improve their lots and as the city adds streets, the value of all the lots rises because of speculation. Mark Sullivan, administrative director for the Robert Schalkenbach Foundation, a New York-based group focused on creating public awareness of Henry George’s ideas, said it is a testament to Fairhope that the corporation has survived while other single-tax communities have failed. In the 1930s, there were at least 20 single-tax communities globally and a handful in the U.S. Today Fairhope is the last remaining Georgist community in the South. There are still single-tax communities — much smaller ones — in Arden, Delaware, and the aptly named Free Acres, New Jersey. (Daniel Anderson/Lagniappe) The Fairhope Single Tax Corporation’s office in downtown. Sullivan has a point about the city’s charm. The corporation donated much of the city’s parklands, including most of its beachfront property and the aptly named Henry George Bluff, early in the 20th century. Remnants of Fairhope’s Georgist founding is all around town. From its public beaches, bluffs, municipal pier and parklands to the numerous streets named after its original single-taxers and benefactors, history is everywhere. In addition to other taxes, today the corporation’s more than 3,000 lessees pay .002 percent of the land value to rent land on 99-year terms from the FSTC, which claims ownership. What lessees can do with the land is limited both by the lease and by Fairhope’s zoning code. The lease, for example, reserves mineral rights for the corporation. Everyone buying a house on colony land must attend an orientation session, where they are told the stipulations to their lease. In 1903, the colony collected $990 in gross rents on 1,410 acres. By 1918, it collected $8,013 in rents on 3,930 acres. One hundred years later, the FSTC was reorganized as a 501(c)(4) nonprofit, and tax filings from 2013 reported a total revenue of $4,562,878, including $3,960,217 in rents, $299,000 in administration fees and $56,046 in lease fees. The corporation also reported $5,883,632 in assets. There were $447,229 in program service expenses in 2013, incurred while performing tax-exempt activities and services. The FSTC paid a total of $425,437 for four grants for public improvements in 2013, including $247,937 to the city of Fairhope for sidewalk and recreation improvements, $12,500 to Fairhope Colony Cemetery for maintenance and improvements, $100,000 to the Rotary Youth Club on Young Street for building upgrades and $65,000 to Faulkner State Community College (FSCC) for building upgrades. Over the years, the corporation has donated money and acreage for Fairhope’s beachfront parks, the Marietta Johnson School of Organic Education, Founders Park softball and soccer fields, improvements at Thomas Hospital, Fairhope High School and the construction of the Fairhope Public Library, the Fairhope Museum of History and Centennial Hall on the FSCC campus in downtown Fairhope. George Gilmore, an FSTC board member and trustee, said the corporation also donated $1 million to Thomas Hospital’s “Life … It’s Worth Giving” campaign for a birth center expansion in March. 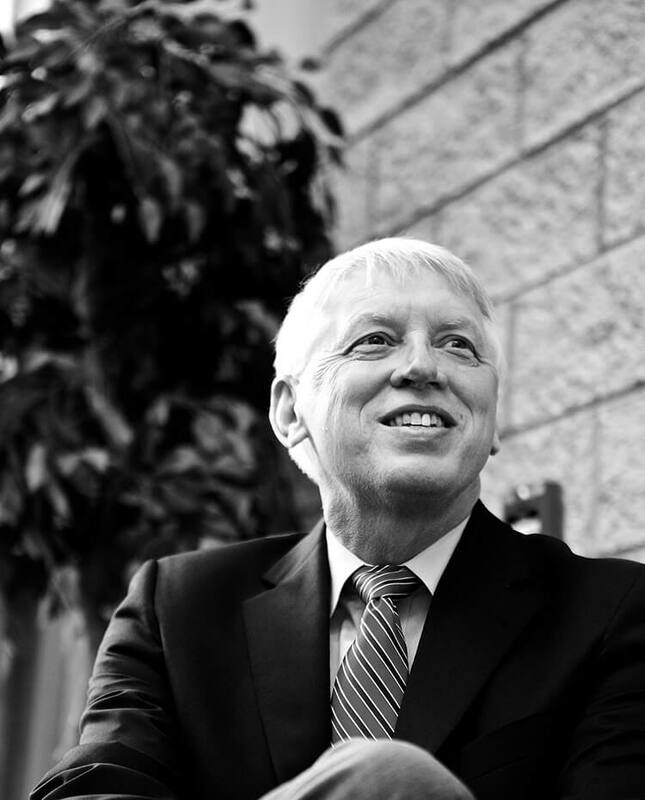 According to Sullivan, single-tax ideas are still viable today, despite their scarcity. He said Georgist communities can survive the way the FSTC has, by continuing to collect one tax from leaseholders, then using rent collections to pay other applicable taxes. In order for single-tax ideas to gain a foothold on a larger scale, Sullivan said it would require the single land tax to replace all other taxes, including those on sales and income. However, there is little political will nationally or at the local level to do so. According to Sullivan, a single-tax structure would stabilize the real estate market by removing speculation from the equation. Mosher and Sullivan both said single-taxers saw the writing on the wall before the 2007 housing bubble and subsequent recession. “The regular people had to pay for the damages, while the very wealthy, who owned land and who drove up values through speculation, are not in jail,” Mosher said. The Georgist ideal of a single-tax structure was complicated by passage of the Sixteenth Amendment to the Constitution, which instituted a federal income tax. But the FSTC has survived for 120 years because it has been able to function as an organization dedicated to the betterment of the community, Gilmore suggested. But some insiders and idealists fear the potential downfall of the corporation will come from the inside, not from outside political forces. Over the last few years, some members have complained the corporation has not been transparent in its meeting structure, bid processes or legal decisions. The FSTC holds meetings on the second Wednesday of each month at its office on Fairhope Avenue. Corporation members and lessees are invited to attend, but after opening remarks those who are not corporation members — including lessees and members of the media — are asked to leave. Mosher said the FSTC should strive for openness in meetings because of its status as a private corporation with 501(c)(4) designation and a constitution he says guarantees equality of opportunity for members. Lee Turner, the corporation’s current president, also serves as chairman of the Fairhope Planning and Zoning Commission. His detractors have said his position of leadership in both organizations is a conflict of interest. Turner defeated Mosher, 109 votes to 50, in the most recent FSTC election in February. Also the owner of Pitman Insurance Agency in Fairhope, Turner did not return phone calls seeking comment for this story. Last year, two members were expelled from membership for what was generally characterized as “questioning authority,” having taken issue with the board’s and secretary’s transparency and the corporation’s perceived “editorializing” of official communications, among other things. Before they were stripped of membership, the two also started petitions to lower rental rates and increase compensation for lessees whose property was subject to eminent domain. One, 30-year Fairhope resident Pauline Anders, compiled and distributed information to other members detailing how some board members regularly awarded lucrative planning, construction or administrative contracts to their own companies without soliciting bids. Earlier this year, members elected Alodia Arnold as secretary over Leslie Stejskal, who had held the position for at least seven years. But Arnold resigned last month, partially for what she said was “an error that is not acceptable in an elected position,” but also because of the heavy workload the secretary’s position has evolved to handle. According to Arnold, a recent FSTC finance committee report said the corporation should review the secretary’s role, that it should not be that of an “office administrator” because that would be a conflict of interest. The corporation, she said, needs a paid office administrator rather than an elected position up for a vote every year. She said an office administrator would report directly to the board and will have no control over people elected to the board. Gilmore would not confirm if a plan is indeed in the works, but did point to the FSTC constitution, which he said allows for the president to appoint an administrator. Other members have openly complained about a lack of vision in the current FSTC leadership. Jessie Patterson, who donated his land to the colony before becoming a full-fledged member last year, said the colony would benefit by attracting younger people to become members. There are approximately 240 corporation members out of about 3,000 leaseholders, but just 160 are eligible to vote in elections because the total number includes spouses of registered members. Patterson said some members do not even live in Alabama, and some of the FSTC’s leadership are not even leaseholders. In essence, members are the corporation’s shareholders, while leaseholders are essentially paying rent. Patterson said he has not missed many FSTC meetings in the last four years, and he estimated an average of about six members are present at each meeting. Others are even more critical, suggesting a divide between members, non-member lessees and the board, which has been an issue from the very beginning. In 1936, Gaston’s father was elected the colony secretary, historically its most powerful position. In his book, “Coming of Age in Utopia: The Odyssey of an Idea,” Gaston wrote that his father won 36 consecutive elections and retired in 1972. The Gaston family also founded the colony’s newspaper, The Fairhope Courier. In the beginning of “Coming of Age,” Gaston describes the optimism and majesty of the colony in its early years, but also how the idealism that created it was quickly lost upon a declining membership who grew wary of its collective or individual benefit. Gaston wrote that opening colony lands to non-members was a mistake. Last year, Gaston told Lagniappe the single-tax experiment failed in Fairhope because the city has its own tax system and the corporation administers the land it owns, so the colony never succeeded in getting enough land to become a community large enough to show the virtues of the Georgist ideals. A caption accompanying a photo in the 2005 pictorial history book “Images of America: Fairhope” notes that a colony advertisement once boasted it was free of the “vulgar mansions of the predator rich.” Today, a casual drive through several of the city’s more affluent new neighborhoods — where lots can be large, exclusive and often accommodate “estate” housing — and along the historic streets where space is limited, will demonstrate why the residential real estate market in Fairhope enjoyed a $313,076 average sale price in the second quarter of 2015, according to the most recent report in a series by the University of South Alabama’s Center for Real Estate and Economic Development. Similarly, an interactive map on the website of the Mobile Area Association of Realtors listed 142 single family homes or condos for sale last weekend — both in and immediately around FSTC property — with an average living space of 2,505 square feet and an average price of $483,333, values only exceeded by Gulf-front properties. There’s also the difficulty of obtaining membership in the corporation. To become a member, interested parties must take a 12-week course on Georgist theories and write a paper extolling his virtues, then submit an application and petition signed by three current FSTC members, while also paying a $100 membership fee and surviving a vote by the corporation’s board of directors. After taking the course, paying the membership fee and waiting sometimes four to six weeks for an answer, prospective members are sometimes rejected by the board, without being given a reason for the rejection. Patterson said the rejections happen more frequently now than before, and just last week the board denied membership to a person seeking it for the second time. Last year, Jonas Lyborg said he and his wife, Ingrid, met all the criteria for membership, but were initially recommended for denial by the membership committee. 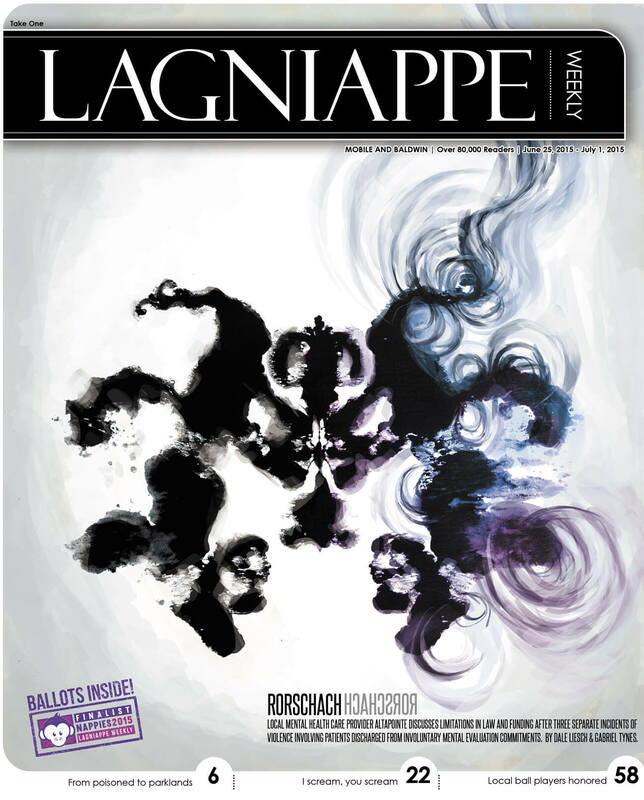 Speaking to Lagniappe before their application was resolved, Lyborg compared the system to apartheid in South Africa, saying he felt it was motivated not by racism, but by nepotism and exclusivity. There is a belief among some lessees and members that the board is being deliberately restrictive of new members to financially benefit a relatively small group of stakeholders should the corporation ever dissolve and liquidate its holdings. The colony has also been under fire for compensation related to the state’s condemnation of properties on State Highway 181 and other locations for highway widening projects. In the 1980s, the FSTC was the defendant in a pair of lawsuits over the value of lessee improvements and just compensation for leaseholders in eminent domain proceedings. Generally, the courts determined lessees have more of an investment in improved properties than the FSTC was willing to compensate for, but in spite of that, leaseholders recently subjected to condemnations to widen another portion of State Highway 181 were offered just 30 percent of the proceeds. Patterson said the legal opinions of the 1980s were a pivotal moment in colony history which, if a leaseholder cared to fight in court today, would come back to bite the FSTC. 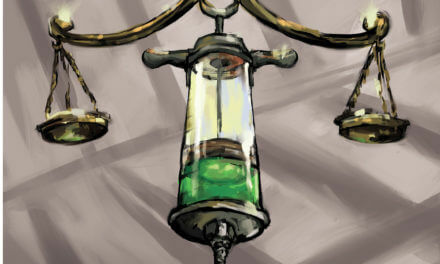 In early cases, the colony only counted the value of the dirt underneath any improvements made by the leaseholder. Meanwhile, improvements such as buildings, fences, landscaping and even grass or trees are not included in the colony’s valuation of the property. At least one lessee, Jonathan Carrigan, who owns a fence company and mobile home park on colony property, filed a civil complaint last year, but abandoned it after considering the costs of litigation. Former Alabama Supreme Court Justice Janie Shores, the first woman to serve on the state’s high court, concurred with at least one ruling against the FSTC when the case went before the court decades ago. Recently, she said she attended and was asked to leave a board meeting on behalf of a member she was advising. Roy and Allie Hyde have leased 16 acres of FSTC land on Highway 181 just south of Mosley Road since the late 1970s, which he described as having been a “piece of wilderness.” While they weren’t affected by the most recent round of condemnations, Hyde said he felt threatened by the colony’s offer for his neighbors to the north. Hyde named a few elderly neighbors he said were fearful of fighting or even questioning the colony’s offer, unsure of whether it could jeopardize their lease. Patterson said after recent deliberations, the colony is considering changing the ratio to 53 percent to 47 percent in condemnation cases. A referendum on the condemnation policy could see a vote in next February’s election cycle. Gilmore said the colony has survived for nearly 120 years and he expects it to be around for 120 more. He said the colony survived numerous lawsuits seeking its dissolution. It faced one as early as 1915, when leaseholders were dissatisfied with what they described as the “socialist nature” of the single-tax ideals. Despite the controversies and pressures from modern-day taxation schemes, Mosher thinks the corporation has better days ahead.